Soft Enamel pins are the best combination of quality & affordability. Who buys soft enamel pins? 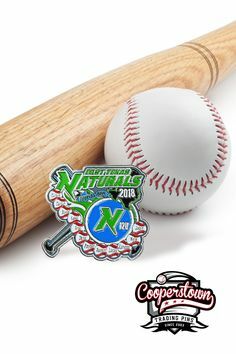 Organizations giving away branding pins, Non-Profit Organizations looking to fundraise, Artists retailing hat pins, Youth Sports teams trading pins, and Employers giving pins to employees for recognition. Soft enamel pins are widely popular for many different occasions. A soft enamel pin can either be die-struck or die-cast during the manufacturing process. A soft enamel pin primarily differs from a hard enamel pin due to the texture. These textured pins result from the enamel being filled beneath the design of the metal ridges. Each soft enamel pin is heated up to 400 degrees Fahrenheit after the color fill. Ultimately, this results in creating a high-quality custom pin that has a natural look with a textured surface. Here are just a few reasons why you should consider purchasing a soft enamel pin from MetalPromo. One of the main selling points of soft enamel pins is that they are 100% customizable. These custom pins can be created in countless different shapes, sizes, and colors. Ultimately, this results in the creation of a unique enamel pin that can match your branding perfectly. The versatility is one of the main reasons that soft enamel pins are extremely popular. Another advantage of purchasing soft enamel pins is that they are very affordable. MetalPromo specializes in providing budget-friendly lapel pins that are available in a wide range of custom designs. These cost-effective soft enamel pins allow you to purchase multiple lapel pins without worrying about going over budget. 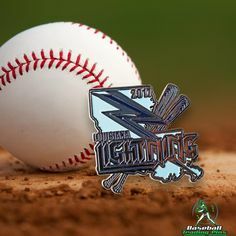 This provides an excellent opportunity to buy lapel pins for an entire team that is high-quality, yet still very affordable. Soft enamel pins are highly durable. What other promotional items can you wear on your person, every day, regardless of the weather? No worries about any flaking, peeling, or fading of colors. Soft enamel pins are strong and sturdy for any occasion and provide a perfect gift for any event. These long-lasting soft enamel pins are great for promotional causes and an easy way to increase brand awareness. MetalPromo creates high-quality soft enamel pins at an affordable price. We specialize in creating custom pins, offering free artwork. We have been in the business of creating lapel pins since 2003, and we are one of the leading enamel pin makers in the entire country. We guarantee that you will be highly satisfied with our services, we offer free shipping, and we will match prices if you find the same quality for a better price. Customer satisfaction is our utmost concern, and our goal is to deliver a high-quality product that exceeds all of your expectations. Interested in learning more about soft enamel pins? Please feel free to contact us at any time for additional information and order a customized soft enamel pin today! We have a wide variety of lapel pin crystal colors to choose from as well. Crystals are just 10 cents per crystal per pin. Glitter is one of the cheapest ways to add pizzazz to your pins. Check out our lapel pin options. Special glow enamel looks amazing. Add extra appeal to your lapel pin by adding glow enamel. Give us your idea and we will give you a design! Our free design services can help turn your idea into a reality. Let our talented team of artists design perfect for you. Our artists won't stop till you are satisfied. And it's free! with your satisfaction as our priority. How long does it take to receive my pins? Our standard production will vary by pin style, but is typically within 2-3.5 weeks turn time. Do you offer any rush options? We can offer rush production during certain times of the year for an extra charge. Our customer care team can answer any questions regarding rush options and availability. The minimum lapel pin order quantity is 25. You can order any quantity as long as it meets our minimum. There are various price point breaks based on quantity that provide some great savings. What are the most common pin sizes people order? The most commonly ordered pin sizes .75”-1.25”. While these are the most common sizes, we can do .50”-4.0” large. The size can also depend on your artwork or the details you are envisioning for your design. If there are more details, then we may have to go up in size. We can help you with determining a good size, in those scenarios. We offer free shipping as part of your order package when shipping domestically within the US. We also offer free shipping to military APO / FPO / DPO addresses overseas as support for our Active duty men & women. For all other shipping locations we will provide you with options based on cost & delivery time so you can pick what works best for you. We have agreements with FedEx, UPS, & USPS to provide shipping to a wide variety of addresses. We Also ship to APO / FPO / DPO addresses for FREE! We do offer shipping to APO / FPO addresses at no extra charge to our service men and women. Please keep in mind that shipping to an APO / FPO address will add 1-3 weeks to the order production and shipping timelines. What attachment options exist for my pins? We have a number of pin attachments that we offer, from magnetic backings to different clutches. You can see all the options. What is the difference between a soft enamel, hard enamel, and offset printed pin? – For soft enamel, you will be able to feel the ridges of the metal separating the colors. – For hard enamel, you will have more of a smooth, polished look. 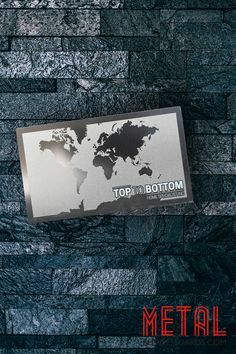 – For offset printed, we print directly onto the metal and there is a epoxy dome over the top of the pin. What is the difference between a die struck and die cast pin? Die struck pins have the designs transferred to a front & back (optional) mold, the raw iron or brass being struck by each mold with enough force to transfer both the raised & recessed areas of the design into the pin metal. Die-Cast molds are fit together and molten zinc metal is injected into the die to create the pin. What are the pins made out of? Your pins could be made out of brass, iron, or zinc, depending on design, budget, and aesthetic preferences. When options present themselves we’ll work with you to determine your best option. How long do you keep my mold for if I wish to re-order? We will keep your mold on stock for 3 years. If you need more pins we can easily remake them for you. Tell Us What You Want And We Can Help! Already know what you need? Contact us and we will walk you through our easy ordering process. From concept to design to completed product, let our knowledgeable team help. Get started on your project today! 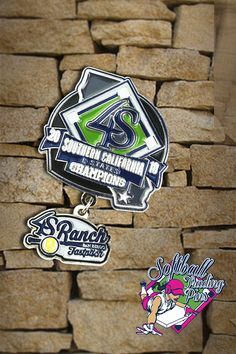 Four Benefits of Custom Lapel Pins Looking for a way to catch the eye of your customers, both existing and potential? Are you curious if there’s a way you can encourage teamwork and a sense of company pride among employees? Combining the two of these might sound next to impossible. We made it easy for you to order your next product online! With our fast and friendly service you will get exactly what you wanted in no time at all. Our team has been helping customers for years and we are experts in the business.